This Milwaukee Bucks Redd jersey is in excellent condition. The jersey is a size XL by Reebok and is sewn. 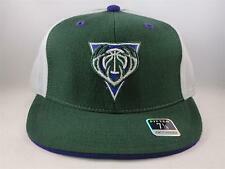 THIS IS A NEW NBA MILWAUKEE BUCKS REEBOK FITTED HAT. TEAM: MILWAUKEE BUCKS. AUTHENTIC REEBOK HAT. STYLE:FLAT BRIM FITTED. SIZE: 7 1/8. DEEP FITTING. FREE SHIPPING TO CONTINENTAL U.S. 1-DAY HANDLING! You'll get them quickly!!! Size is an adult XXL, but check these measurements and compare them to a similar pair of athletic pants you already own and fit you. Rely on the numbers, not the tag. Waist across: 17 inches Crotch: 15 inches Length top of waist to cuff: 45.5 inches No rips stains or smells. Cuffs have wear including a few small holes at the edge as pictured. Fire away with questions and please check out yesterseason's other listings. Lots of tasty rare, vintage, retro, game-used, game-issued jerseys, clothes and other random goodies. Ohio buyers to be charged 7.25% sales tax. ..
Milwaukee Bucks TJ Ford Reebok NBA Basketball Jersey Team Rare Medium Purple ! Milwaukee Bucks TJ Ford Reebok NBA Basketball Jersey Team Rare Medium Purple !. Condition is Used. Shipped with USPS First Class Package. Will ship fast. In great conditions. If you have any questions just ask. Sewn on logos, very good condition made by Reebok. PAIR OF Bucks NBA Basketball Shorts. Length Top-Bottom: 24". MADE BY REEBOK. YOUTH SIZE XL. NBA AUTHENTICS. JERSEY IS IN EXCELLENT CONDITION. MADE OF 100% POLYESTER. MADE IN RUSSIA. 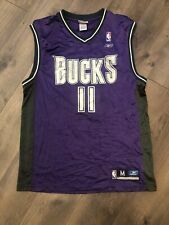 This is a Milwaukee Bucks jersey #11 (Desmond Mason). Made by Reebok of 100% Nylon. SIZE: Small (Youth, 8). 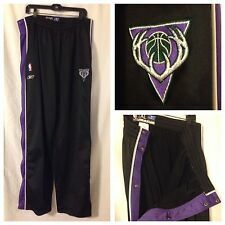 Reebok NBA Fusion Milwaukee Bucks sweatpants in a men's size xl and gray in color. Features zipper leg opening for taking off over shoes, front pockets, and one rear pocket. Milwaukee Bucks NBA Basketball Reebok Fitted Hat 7 1/2 - Multi-Colored - 100% Wool Gorgeous hat. Perfect gift for you or the Bucks fan you know. This item is new with sticker. Thanks for looking. Great looking vintage logo sweatshirt of the Milwaukee Bucks size XXL. Its in overall great condition with a few faint marks on the front of the sweatshirt as seen in last pics. Please double check measurements to ensure a proper fit. Measurements are: Top to bottom: 30" Pit to pit: 28"
FULLY EMBROIDERED "BUCKS ALTERNATE LOGO" ON THE FRONT. "NBA" LOGO--EMBROIDERED ON THE BACK. REEBOK Authentic On Court Milwaukee Bucks TJ Ford Jersey. All of our products are 100% genuine or your money back. (Reebok NBA Official Fitted Hat Cap. Milwaukee Bucks. Color: Green Purple White. Fits like S / M). ADJUSTABLE STRAP "ONE SIZE FITS MOST" CURVE BRIM EMBROIDERED LOGO. Vintage Reebok Milwaukee Bucks 90s Fitted Hat Adult M/L. Elastic band hat. Fits medium to large size. I wear a 7 1/4 fitted hat and this hat is about as big as will fit for head size. Like new condition. Logo embroidered on. Adjustable Strap. Color: Blue. Size: One Size Fits Most. WIDTH (armpit to armpit)--17". FEATURES---Screen printed on front and back, Very good condition. THIS IS A NEW NBA MILWAUKEE BUCKS REEBOK FITTED HAT. TEAM: MILWAUKEE BUCKS. AUTHENTIC REEBOK HAT. STYLE:FLAT BRIM FITTED. SIZE: 7 1/4. Milwaukee Bucks NBA Youth Hat. Adjustable Velcro Strap. Color: Purple. MILWAUKEE BUCKS. CURVED BRIM. ADJUSTABLE STRAP. PIT TO PIT 29”. LENGTH 38”. MILWAUKEE BUCKS. MADE BY REEBOK. LONG SLEEVED T-SHIRT. LONG SLEEVED. YOUTH SIZE LARGE (14/16). 100% COTTON. Vintage Reebok Milwaukee Bucks Oscar Robertson 1970-71 Mens Nba Basketball Jersey Size 2XL 2, Measurements in pictures Color: Green Good pre-owned condition, No rips or major stains, Couple minor markings (see pictures), 100% Authentic All items are stored in a smoke-free/pet-free home. Feel free to message me with any questions or if you would like more pictures. All items will ship the next business day. Positive feedback is always appreciated! Thanks for looking!